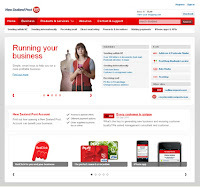 Our friends at Kiwibank are busy helping their business customers succeed. They have teamed up with Business and Economic Research Limited (BERL Economics) to produce monthly economic updates relevant to independent businesses. We’d like to refer our friend to you, so you can benefit from the same information that Kiwibank’s business customers are getting. This month they report that ‘job numbers look promising’, ‘export performance sending positive signals’ and discuss the domestic financial situation for businesses in an unsettled global climate. You can sign up to receive their newsletter to ensure you don’t miss out on some valuable information for your business. I think it's fair to say that although most things are available to us at a click of a mouse (from near or far) it is seen as more socially responsible to seek and use local produce. Whether it’s TV celeb Gordon Ramsey pointing out that local ingredients are the best, or kiwi companies advertising that products are kiwi made. ‘Local’ stands for quality, supporting your area’s economy and taking care of people, communities and businesses that you value. But with an online global network it can sometimes be difficult to find smaller businesses and why should your customers search worldwide when you’re just down the road? What does Jo Blogs Ltd know about Mrs Smith around the corner that you don’t? You just need someone to tell Mrs Smith that you’re there and a recommendation has more merit if it’s from a local. Whilst we love our neighbours there are more efficient ways of getting recommendations in this digital age than a chin-wag over the fence (although that’s always nice), after all we are a bunch of people that are used to researching online. We know that word-of-mouth is the best form of advertising (read this article) and that to go ‘viral’ means great things. But where do you start? Stuff reports that "Digital communications and social media has become a facilitator of word-of-mouth marketing, as it's now much easier to refer. Those conversations used to be exclusively around the water cooler in the office, or the barbecue on the weekend but they've now extended into social media tools”. But do you have the time and know-how? Someone local (us) has realised this and is about to launch something that should get independent businesses, targeting local markets, quite excited. Localist will go to market next year, initially in the Auckland region, aggregating local business information online, building connections between communities and businesses, using social media. For consumers it’s an opportunity to recommend ‘what’s good around here’ and a first port of call for finding relevant and current information on local businesses, activities and events in the community. For you it means a greater local presence and an opportunity to find customers nearby and expand local relationships. So whilst this is a ‘heads up’ you can start getting involved now. 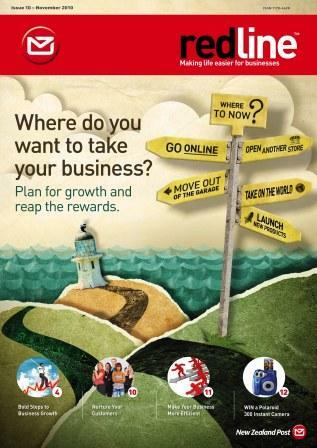 Right now you can find out more and, crucially, register your business contact details for free. Then tell us here, on Facebook or Twitter (@localistnz) what you think of this service. You will have seen in your November issue of redline magazine that we intend to give special offers to our redline readers! You will only read about these offers here at redline online, so keep checking back for the latest deals! First five comments win ParcelPost Postage Included Bags! Tell us what web specials we could offer that would help your business and keep you coming back to redline online. Simply comment on this post with your suggestion for a web special, remember to put your email address in the ‘email’ field and hit submit*. Then we will contact the first five individuals to arrange delivery of a pack of 10 C4 ParcelPost Postage Included Bags ($50.00 RRP). So helpful as Christmas is so near. If you aren’t one of the first five then comment anyway as you can help shape future web specials. Plus, you’ll be entered into our Prezzy Card competition for your trouble. And if you’re bursting to get your hands on some ParcelPost Postage Included Bags then make use of the existing online discount (online discount ends 17 January 2011). Remember, don’t delay sending your parcels if you want to get them there in time for Christmas. The 10th issue of redline magazine is about to land on desks! If you'd like to receive regular copies, or you want an extra one for your office, you can subscribe for FREE. We talk about business growth and how, according to Creative HQ's business growth expert Steve O'Connor, planning is essential. You'll find really useful articles on how to prepare for growth and how to achieve it - as well as how to streamline your business and maximise efficiency. And you can read how three innovative retailers - women's clothing store Goodness, quality toy provider Plush Toys and maternity lingerie company Womama - went about growing their businesses. We'd love to hear your comments about redline. Perhaps there's an article you really like or a topic you'd like us to cover in the next issue? Maybe, if your company has an interesting experience to share with other readers, we could feature your business as a case study. Remember, sending in feedback could win you a $1000 Prezzy Card* - and you'll go into the draw every time you submit a comment. *Terms and conditions apply. Competitions close 11 February 2011. Good luck and send us a postcard! We would like to wish New Zealand Post customer, Stuart Fleming, the best of luck in his latest endeavour! Stuart features as our Send a Card case study in the next issue of redline magazine (out at the end of this month). Through talking to Stuart we discovered that he is about to embark on a trek of Te Araroa ('the long pathway' of 3,000km from Cape Reinga to Bluff). Stuart is fulfilling a 10 year dream and tells us that he's doing this to promote SCOUTS New Zealand, as the senior-most volunteer for the adventurous organisation. The majority of Te Araroa is mountain tracks and off-road trails. Stuart will have periods of up to a week without supply points, carrying everything he needs along the way and sending some of his items from point to point using ParcelPost. You can check out Stuart's route and blog to keep up with his journey - we certainly will! Good luck Stuart and we hope to speak to you on your Return. It's great to get to know our customers better and support them. We are always keen to hear from you, so tell us a bit about yourself by commenting on this article. Plus, if you are keen to feature as a case study in redline let us know! Congratulations to our issue 9 competition winners, we hope you enjoy your prize! Don't worry if you didn't win, we have some great competitions coming up in issue 10 of redline magazine and you can enter here at redline online. Issue 10 is due out at the end of this month so if you would like a copy in the post simply subscribe. Are you still harbouring old technology? In a previous issue of redline magazine we talked about navigating the new world of technology and we gave you some tips to help consider what is right for your business. We were certainly on your wave length because you sent through an abundance of messages telling us so! 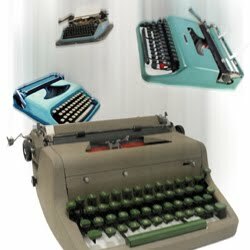 We also told you about a customer that, until recently, was still using a typewriter to print consignment notes, before they were introduced to our RedClick online consignment tool. You couldn't believe that out of date technology was still finding a purpose in some businesses, but of course it is, take ASM (automatic stamping machine) franking technology for example. Take a look around your office and see what you're holding on to and what’s holding you back; perhaps you're harbouring old technology that's in need of an upgrade. Keeping to what you know is good to a point but definitely explore opportunities if it will help your business operate more efficiently. Old franking machines are still chugging away in some businesses despite being outdated and less smart than Digital Postage Meters (DPMs). 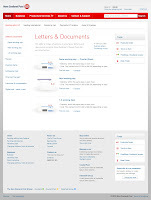 But from 1 January 2011 this technology will be as obsolete as that typewriter, more so as New Zealand Post will no longer accept ASM franking as a payment method from you. So go on, toss the franker and upgrade to a DPM (we've got some deals to help you part with it). You wouldn't swap your PC for a typewriter would you? A DPM may help you streamline your business, they are fast, efficient and are a great way to save time and control costs. Of course if you are not sure a DPM suits your needs or you are interested in other postage methods we'd love to discuss those with you too. What technologies are you harbouring and why? Have you ditched something recently and found a great new alternative? Tell us. A gift from Two Wise Men and it's not even Christmas yet! As an independent business owner you may be involved in everything from sourcing an import agent to packing and sending box after box of your product. So where do you find the time to assess all of those marketing opportunities out there? Two Wise Men, Steve O'Connor and Mark Robotham, talk to Stuff and have some advice to help you determine what to spend and where. We have also been fortunate enough to chat to Wise Man Steve O'Connor, who has been on the forefront of growing businesses since the early 1990's, to talk about the nuts and bolts of independent business growth. You can read about it in the next issue of redline magazine (out at the end of November). And if you need any help with imports or sending those boxes (internationally and within New Zealand), while you focus on your promotion plan, you can talk to us. We can talk to you about growing your business and targeting those customers too. Oh and it’s not Christmas yet, but it's not far away so have a quick look at the sending dates while you're here! The beautiful game it may be, and the results so far have been nothing short of spectacular, but it plays havoc with your sleeping patterns! I imagine sales of coffee and various other caffeine drinks have probably gone through the roof as we here in New Zealand support and cheer on our teams through the night. Imagine the problems next round - the 11.30pm games are all gone and it's 2am and 6.30am starts all the way. Isn't it fantastic though to see the way that the rest of the world has embraced the achievements of the All Whites? And it's great to know that the next time I'm in the USA people may actually have realised that New Zealand is a country in its own right! Aside from the All Whites and their success, the vuvuzela has to be the other big story of the World Cup. Love them or hate them, we're all talking about them and have learned a new word. It won't make the same noise as the vuvuzela, but it may be worth a little more after the tournament's over! 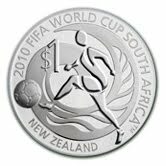 To be in to win one of these fantastic coins leave us a comment here with your best tip for staying awake for the key matches and keeping awake the next day! (Remember to complete the email address field so that we can get in touch with you if you win, it won't be displayed publicly). In this day and age ordering over the phone and internet has become so common that we rarely think anything of it, except when something doesn’t turn up. A couple of weeks ago I talked about how customers now often put ‘safe delivery’ and ‘speed of service’ up there with ‘cost’ and ‘quality’ and recommended that if you’re sending out products to customers that you offer them a tracking service. Easier said than done I hear you say. But actually, it is easy – did you know we have a free API which allows customers to track their delivery directly from your website? It’s the same API that we use to power our iPhone app and Google Gadget, and it’s there for you to use on your website too. All you need to do is click here to go to the developer section of our website where you’ll find details of how to use it along with some useful case studies. While you’re on the developer pages, why not submit your comments and ideas for more developments via the forum? Or feel free to drop us a comment here that we can pass on. A big thanks to everyone who volunteered for this week’s user testing – it was great to get all the feedback and insights – they are proving invaluable. Now we thought it was time to share the developments to date with all our redline readers and ask you what you think. We’re redesigning our website because customers told us our current website isn’t customer focused enough. So now we’re trying to make it easier for you to use by creating clearer pathways to information, and making sure the content is relevant, easy to understand and takes you on the right path to complete your transaction. Click each of the images to the right of this article to enlarge and then tell us how we’re doing - what works for you, what you like, what doesn’t work and what you don’t like. We’d really love to include your comments and feedback in the next stage of development. We all know that good customer service goes beyond the initial sale. But, this is particularly true if you run a mail order company or use the Internet to sell your goods. When expecting purchases to arrive by post, customers often put ‘safe delivery’ and ‘speed of service’ up there with ‘cost’ and ‘quality’. So, it’s important that you choose the right delivery options for you – and your customers. You want your buyers to be pleased with their goods and satisfied with the ‘shopping’ experience. You also want them to come back to you again. The last thing you need is for them to feel disgruntled because something hasn’t arrived when you said it would. Manage customers’ expectations – be upfront and crystal clear about your delivery services on your website or in your catalogue. Be explicit about expected delivery times. Don’t promise a ‘tomorrow’ service if you can’t guarantee it, this will only disappoint people. Specify postage costs – say whether shipping costs are included in your product prices or not. 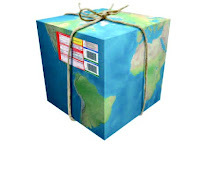 If not, state what the exact postage costs for different items and destinations are. Find out what people want from your service – ask your customers what’s important to them. For example – speed, signing for items on arrival, good packaging, shipping costs. You can then offer a range of services (and prices) that will suit differing needs. Offer a tracking service – either offer your customers a tracking facility via your website or do it for them by sending email updates on where their order is at. This way they’ll know when to expect their goods. And it’s always nice to receive a message saying your goods are on their way. Say if there’s going to be a delay – if items are delayed for any reason you must let your customers know. They might be a little annoyed but they will appreciate you getting in touch with them. A quick email or short phone call is all it takes. Better that than leaving your customers to pace up and down at the garden gate. Package up parcels properly – no one wants to receive a damaged item that’s poking out the packaging. Ensure your service team knows how to package and wrap parcels properly. Depending on the type and amount of products you sell, you may need to use a range of delivery services to get your goods safely and securely from A to B. Remember, some delivery companies specialise in delivering certain types of goods to certain locations. 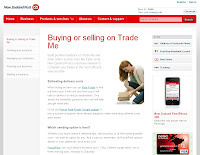 Others, like New Zealand Post, offer a wide range of sending options within New Zealand and overseas. To find the right sending solution, take a look at our range of ParcelPost products. Does your business provide outstanding customer service? Tell us what you do. Post your comments below. Customer feedback has told us our website isn't that easy to use. So, as we work to improve it, we're keen to engage with our users to test our ideas. Next Tuesday, 11 May we will be running a user study in Wellington, and we'd love an hour of your time in return for a New Zealand Post Prezzy Card. The sessions will be held during office hours, and whilst we do need you to be a current user of our website, there's no preparation required - just come along, try out some web pages, then tell us what you think (make sure to bring your glasses if you need them for computer work). These sessions are one on one, and all feedback is confidential and anonymous. If you think you can help, we'd love to hear from you, just click here to find out more. The Internet, mobile phone technology and an ever-expanding array of media options has transformed the way we connect, communicate and do business. The knock on effect is that people’s expectations of how, where, when and from whom they buy their products and services has changed significantly in the past few years. Ask yourself, are you in tune with what your customers expect from you now? More choice. The Internet has opened up the world. We can buy books from England and t-shirts from America. We can connect with experts in any country. We can easily compare prices for any product or service. We can make more informed decisions because information is readily available. Do you know who your competitors are, what they offer and how they offer it? Do you present what you offer in a way that makes the benefits clear – price, service, quality, uniqueness, availability? More control. We are no longer happy to passively take what we’re given. We want products and services tailored to suit, and delivered to us in the way we prefer. Are you offering one-size-fits-all products and services or do you tailor to meet specific needs and requirements? Do you offer a range of purchase and delivery options? Fast, easy access. We are much less tolerant of ‘business hours’ these days. We want information quickly and we don’t want to work too hard to get it. Are you making it easy for people to do business with you? You don’t need to be ‘open all hours’, but you do need to ensure it’s easy for people to find out who you are, what you do, when you’re available and how to contact you. Individual attention. We expect to be recognised and acknowledged. We expect our preferences to be noted and acted on. Do you know who your best customers are? Are in touch with them often with relevant information or offers? Do you reward them for their business? Have you noticed that what your customers want has altered in recent years? And what have you done about it? Share your thoughts and ideas with other readers – post your comments below. Wikipedia says the current population of China is over 1.3 billion. This is a staggering figure and shows that the potential market for your business is nothing short of enormous. This makes the Chinese market well worth investigating – particularly as the Free Trade Agreement signed by New Zealand and China in 2008 aims to ease trade between the two countries. 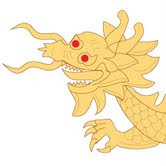 China now has a strong and dynamic economy and it’s still growing. There is money in China and demand for overseas’ goods is increasing. In short, its import market is booming. Find out if there’s demand for your goods. Conduct extensive market research. 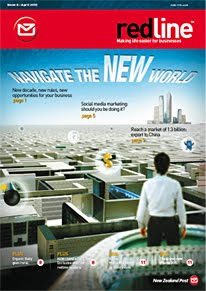 Find out about buyer behaviour in China, what the competition is like and think about where your products might fit in. Go there. If you’re serious about exporting to China you need to visit the country. Spend time researching and planning your trip. Know where you want to go, what you want to find out and what you want to achieve. Be seen. Time your trip to coincide with a trade fair. Here you can talk to potential buyers as well as other foreign importers. Use this as a networking opportunity. Hand out your business cards and follow up contacts when you return. Think about distribution. Exporting your goods directly to China can be time-consuming and you will need to be familiar with China’s complex import customs, regulations and controls. Alternatively, you could establish a business partner or find a qualified agent or distributor with good sales contacts. Employ a good translator. Having someone on hand who speaks the language fluently and understands the country’s culture will prove an invaluable investment. Be cautious. When entering any new market it’s always wise to proceed with caution. Don’t rush into things and do carry out thorough checks on companies and their representatives before you enter into a contract with them. Reduce your trade risk. If you manage the risks, you can reduce them. Speak to your bank. They’ll be able to advise you how best to secure payment for shipped goods and how to manage foreign currency volatility. We’ll be posting more information about how you can reduce trade risk next week. Sign up for email alerts so you don’t miss it. It’s been a baptism of fire over the last few months learning all about redline, but now I am pleased to say that Issue 8 is printed and ready to go! Subscribers should be receiving their copy early next week and it’s packed full of great articles, and great competitions. We take a look at some of the hot topics facing business today, including social media marketing – should you be doing it, how to do it - and exporting to China. Both of these subjects seem to be under the spotlight at the moment – the latest issue of unlimited has just landed on my desk with a special report on China, and there was a great social media marketing story recently on stuff about Giapo – a boutique ice-cream store in Auckland which has used Twitter and Facebook to great effect. That’s not to say that social media is for everyone, so make sure you check out Issue 8 to work out if it’s something you should be looking at. We’ve also got some great competitions coming up, including the chance to win an iPhone and a one-on-one session with a social media marketing expert. I’d love to hear what you think about our latest issue, so once you’ve had the opportunity to look through, remember to post a comment, and we’ll use the feedback to help us plan future issues. 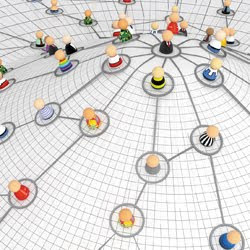 One of the advantages of social media marketing is that it’s constantly improving our ‘connectedness’. For businesses, this can mean valuable input and feedback from customers on all manner of things – service, products, quality, new ideas - the list goes on. Here at New Zealand Post we’re always interested to hear what customers have to say about our products and about how we could improve them. 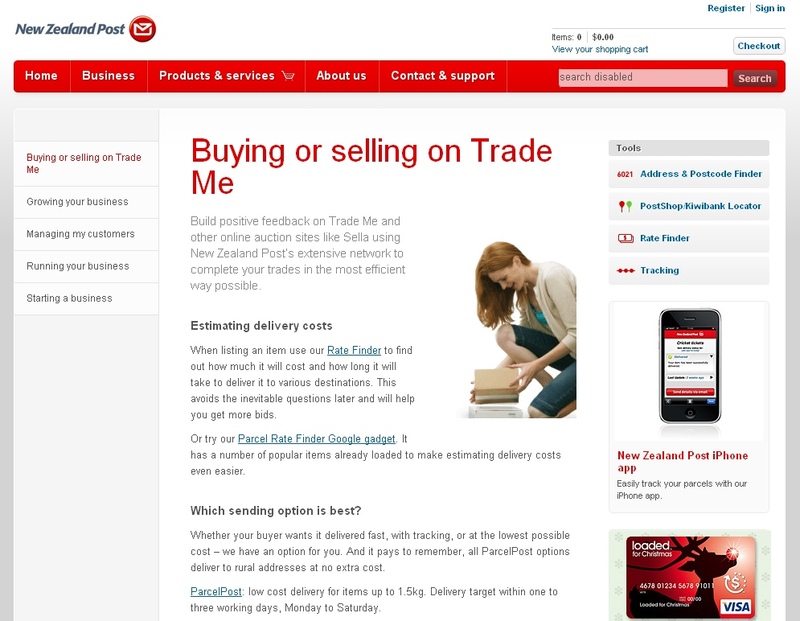 As a result of customer feedback we’ve recently removed the 70mm thickness restriction on our ParcelPost Postage Included Bags, improved the dedicated Trade Me page on our website so it’s easier to use, and introduced RedClick – an online lodgement tool for international parcel and courier items. And just last week we changed the lodgement times for VolumePost 3 so that you can now lodge anytime from 8am to 5pm Monday to Friday. We’re constantly looking to improve our existing products and services so if you have any ideas on how they could be improved just let us know and we’ll look into it. The inbox or the letterbox - do we have to make a choice? I read an article recently which highlighted the difficulty faced by many small businesses. A company in America was suffering somewhat due to the recent economic downturn and so in an effort to tighten their belts they ditched their annual direct mailing budget and replaced it with email. However, a 25% drop in orders compared to the same time last year had them quickly reconsidering their decision. Whilst initially blaming the drop on the recession, the company was surprised to start hearing from customers they never got their ‘reminder’ in the mail. A postcard mailing soon recouped the loss and made the company think again about the role of direct mail and its importance to customers. In the future the company is planning to use e-marketing to complement the direct mail piece, not replace it. And that really is the crux of the matter – when new communications methods come along there is a temptation to throw out the old, but we need to ensure we don’t throw out the baby with the bathwater. It’s about the mix, and the new choices simply give us more potential ingredients. 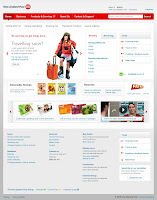 Have your say on our site navigation and you could win a $100 Prezzy Card! Have you ever been frustrated by a website? Got lost navigating around, not been able to find the information you want? In a country where computer ownership and usage is so high, company websites are often the first point of contact for a potential customer. When we get there we have high expectations of being able to find out exactly what we want to know. And the experience we have on that site will immediately give us an impression of that company. 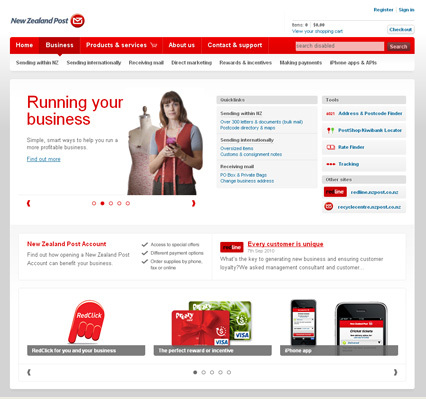 Here at New Zealand Post we are working to overhaul our website and improve the customer experience it delivers. As we progress we’d love your feedback and opinions on what does and doesn’t work. 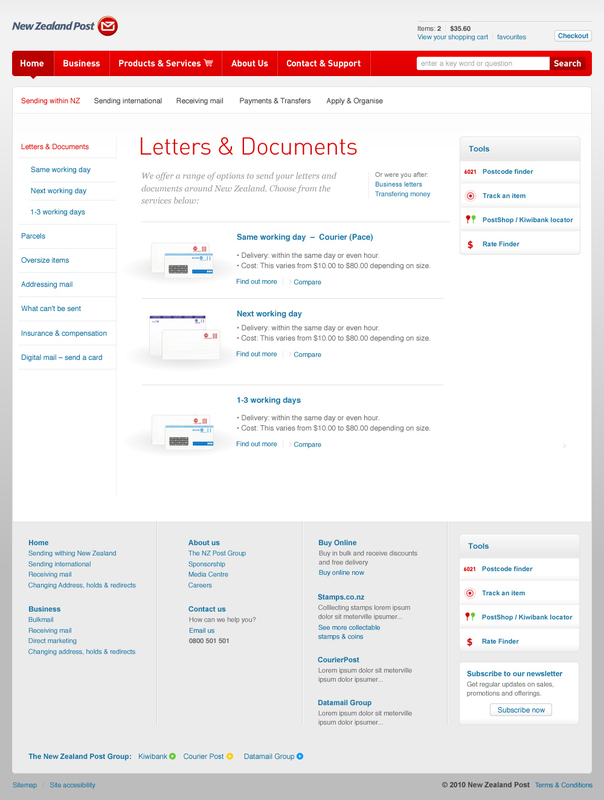 We are currently evaluating three potential concepts for our site navigation and we’d love you tell us what you think. The evaluation takes 5 - 10 minutes during which you will be given a series of tasks to complete, there are no right or wrong answers, and all information you provide will be kept confidential. As a thank you, each participant will go in the draw to win a $100 Prezzy Card. Just click here and give it a go. Of course, if you have any additional comments you can post them here at redline and we will add them to the feedback. I never thought the day would come when I would venture into the world known as Twitter. However, they’ve found my weak point, or rather Mojo coffee has. Talking to a friend the other day I found out that Mojo has been known to send out ‘Tweets’ offering cheap coffees during quiet times. Being someone who loves my coffee so much more when it comes in a disposable cup made by someone else, I decided the time had come to finally find out more. It wasn’t as easy as I’d hoped – it seemed to involve an awful lot of text messages to and fro, but finally I had my very own Twitter account! So far I’m only following Mojo, but if you have any suggestions of others I should check out, let me know. 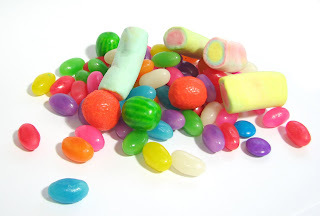 Thanks for your comments about great things you’ve received in the mail following last week’s blog – lollies are winging their way out to the lucky commentator as I write! 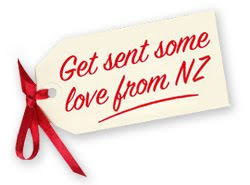 Speaking of receiving lovely things through the mail, if you know any homesick Kiwis check out our latest competition ‘Love from New Zealand’ and you could win an overseas trip when you send them an international package from your local PostShop.